Semi-autonomous ‘platoons’ of trucks from around Europe will travel to Rotterdam in early April as part of an experiment backed by the Dutch Council presidency. Steve Phillips bills platooning as a way to cut CO2 emissions from trucks – a currently unregulated area in the EU. Steve Phillips is Secretary General of the Conference of European Directors of Roads (CEDR), which represents national road authorities. 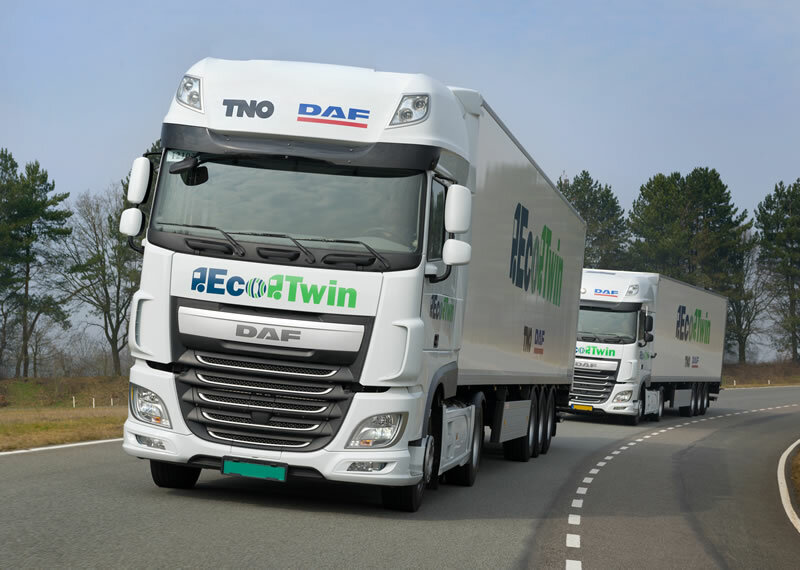 The ‘challenge‘ in Rotterdam is one of the first big organised truck platooning experiments in Europe. What do you hope will come out of it? There have been a number of national trials of platooning already. Some were on closed sections of road. The truck platooning challenge is the first time that we’ll have platooned trucks running between countries, which is significant because it means that we’re not dealing with closed tracks. We are dealing with all the intricacies and the operational aspects of running across borders. That means that we’re taking into account the different regulations and rules in all of the different countries. As far as the technology goes, will the Rotterdam experiment serve as a test of some of the technology that’s been developed? From a technological point of view, we’re not trying to push the boundaries. A lot of technology has already been proven. It’s been proven in different closed test track trials. So we’re not taking any risks with the technology and we’re not taking any risks with traffic safety. What we’re trying to develop is the experience of how we would actually go through an approval process of running platoons routinely on motorways across Europe, between different countries. There’s no risk from the technology as such. We’re not taking any risks. What’s standing in the way of having truck platooning on roads now? I don’t want to go into the various legal aspects, but clearly many of the ministries and vehicle safety agencies are working through the processes of how they would actually approve automated trucks. From a traffic infrastructure and road owner perspective, what we are looking at is to prove to ourselves that we can do this safely in mixed traffic and along long distances. That we can manage issues to do with traffic management around junctions. That we can see potential. Before any of the member agencies of CEDR would be happy to approve this we want to be sure that it’s working and that it can run safely and deliver the benefits it promises. Why are road authorities interested in truck platooning at all? The promised benefits of truck platooning are that we can have smoother traffic in terms of the trucks being linked to each other. They will drive more smoothly. There are the environmental benefits from reduced CO2, reduced fuel consumption and therefore the benefit to us of reduced air pollution. There are the safety benefits of vehicles being under more careful control and cooperating with each other. And then we’re looking at the potential benefits that we can also gain in terms of better infrastructure management. We could see reduced congestion, and we might also see some benefits in terms of reduced impact on the infrastructure. So we could actually use the benefit of the technologies in the vehicles to reduce the impact on the road pavements and on bridges. Can platooning make such a big difference in reducing CO2 emissions? I’m not the expert on the vehicle aspects but certainly the figures that I’ve seen reported in terms of individual platoons show that they will reduce fuel consumption in their operations. The larger question you’re asking is whether the reduction in CO2 that we’re going to see at the vehicle level is going to have an impact overall. That of course is going to depend on how well platooning is taken up in the future and how many long distance journeys will be undertaken with platooned vehicles. At this stage we don’t really know what the wider potential will be. We can see that many of the routes that would be taken into account are fairly busy routes. 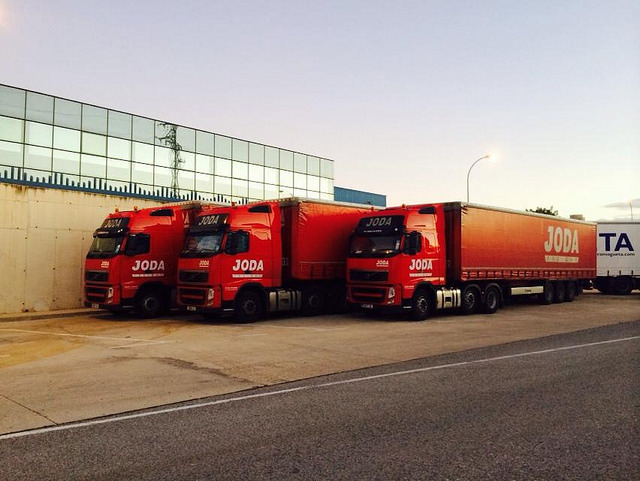 They are the routes on which a lot of the CO2 from trucks are generated. Therefore we could potentially see a big benefit. But all of that still needs to be quantified because we need to understand how quick the takeup will be from the industry. What are other ways to cut CO2 emissions from trucks? Should there be regulation? Regulation is part of the solution but it’s not the only part of the solution. We have been through all our discussions now with the automotive sector. With other partners as well, we have been looking at possibilities for reducing CO2. This comes from improved traffic management, so all cooperative ITS [intelligent transport systems] solutions, of which platooning is a part. But it’s more than that. It’s the whole ‘how do we encourage smoother journeys’? How do we help the truckers to plan their journeys better to take into account incidents on the road? To avoid congested spots so that trucks can actually have smooth journeys? Because for them smooth journeys mean lower CO2. We’re also looking at issues such as infrastructure changes, so how we might change road pavements. There are trials in Denmark and in the Netherlands on how we can change the infrastructure to help trucks generate lower CO2. Many years ago we worked with the truck and tire industry when they were changing designs of tires. We worked with them on how from an infrastructure perspective we had to balance the tire designs with the infrastructure designs. We reached a good compromise there, which at that point generated a lot of fuel savings across Europe. We’re working on a number of technical and standardisation solutions that might offer future CO2 savings. You said regulation could be a part of the solution. Obviously regulation of truck emissions is a controversial issue. 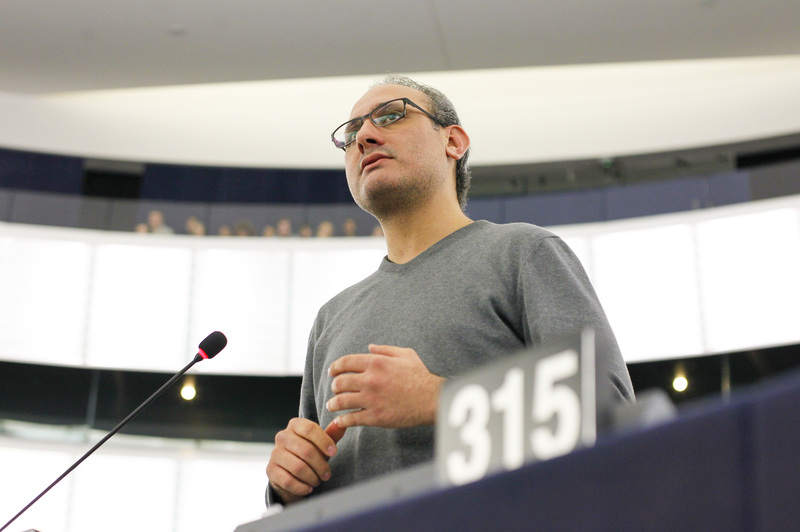 What kind of regulation do you think would be needed? Regulations are part of it, but regulations on their own don’t always achieve the full benefits so what we’re looking at is a package with different aspects. One of the challenges we always have is that regulations tend to apply to individual components of the system and it’s only when the complete system is running and put together that you realise where the deficiencies are. So if we are serious about delivering CO2 reduction in the future, we need to be working on a fairly holistic level. Are you open to some kind of regulation of truck CO2 emissions? CEDR would not take a position on the regulations that apply to vehicles, that would be the decisions of other agencies within the national ministries. We’re following the discussions that are going on and will give our opinion if we’re asked. How would roads have to change before you actually have truck platooning on highways? There are some unknown areas. We’re not necessarily looking at physical changes in the infrastructure. We are aware that there may be some challenges to do with motorway exits and entries. The ITS solutions and the technology solutions would probably be able to overcome those. The issue there, which is already an issue with heavy traffic anyway, is how you allow cars to enter and exit motorways junctions. Truck platooning shouldn’t add to that problem. In fact, the potential is that it might help solve some of those problems. We don’t envisage any specific changes to the infrastructure, it’d be more to do with how we manage traffic, how we manage traffic at junctions, how we bring ITS into operation. What we hope and are discussing with vehicle manufacturers is how platooning could actually reduce the impact on the infrastructure. With a little bit of retwigging of the way we do our ITS and traffic management activities, the dream would be that we get some overall benefits for the infrastructure. Do you see truck platooning as a step towards fully automated vehicles? Is this exercise in April a way of learning how roads need to manage automated vehicles in the future? It’s a step and there are lots of baby steps being taken in a lot of different areas. The truck platooning challenge is very clearly related to motorways and of course the main application is going to be on long distance journeys and dedicated routes. But I’m sure the growing experience that will be achieved through the technologies will have benefits for use in other areas. And, for example, we know that in ports and other areas that they’re already very serious about the use of automated trucks. I’m absolutely convinced that you will have trucks that will be driven under control of a driver in some areas, and are then maybe semi-autonomous in a platoon on a motorway. And then when they reach the port or the railway shunting yard, maybe they’ll be able to operate in a more autonomous way within a closed environment.